Sometimes your heart gives you a wake up call. Each year more than one million people suffer a heart attack. A diagnosis of heart disease can be alarming. Whether the patient is you or a loved one, you want an experienced, compassionate team to increase the chances of survival and also deliver a full recovery. We have been taking care of the hearts of Omaha-area families for generations. Should you or a family member need heart care, Methodist is nationally-ranked in the top two percent for saving the most lives following a heart attack. It takes a team to restart a heart and save a life. With heart attacks, time lost is heart muscle lost so we focus on a coordinated team effort to give you the best chance at not just survival, but a full recovery. Our critical response times are less than half the national average - meaning we respond more than twice as fast as most cardiac teams. Your treatment begins with the right diagnosis. Diagnosing heart disease, treating and managing its effects are important to survival. To identify and diagnose heart disease, our specialized cardiac teams use advanced diagnostic tests including our innovative 3-D imaging — the only service of its kind in the area. A critical diagnostic procedure performed is cardiac catheterization, which assesses blocked blood vessels and other cardiovascular problems. 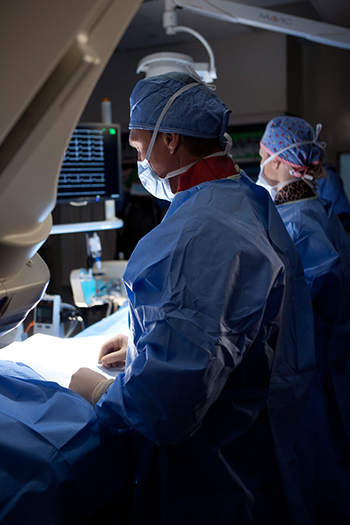 Methodist performs more heart catheterizations than at any other hospital in Nebraska. If surgery is part of the treatment plan for your heart disease, Methodist is home to the newest and busiest surgical suites in the area. The 15 new operating rooms are 150% bigger than the original suites and designed with technological advantages for surgeon, patient and family. Read more about the surgical suite changes. Following hospitalization, cardiac rehabilitation is an important part of any treatment plan to strengthen your heart and health. Methodist offers supervised outpatient programs in fitness facilities designed especially for cardiac rehabilitation. These programs are designed by a team of registered nurses, exercise physiologists and your cardiologist to meet your individual needs. We also offer an innovative team approach to manage treatment of acute and chronic illness called Medical Home. In each of the Methodist Physicians Clinic family and internal medicine offices a Health Coach forms a team with you and your physician to manage treatment of chronic illness such as diabetes or heart disease. The physicians and Health Coach are committed to providing proactive, whole-person care, while helping you to take a more active role in your health and wellness. Recognized for Heart Failure, COPD and Heart Bypass Surgery. Methodist Hospital has received the US News and World Report Best Regional Hospitals Ranking. For more information, visit our US News and World Report page. Methodist Hospital has earned the AHA Mission: Lifeline Gold Performance Achievement Award as a STEMI (STElevation Myocardial Infarction) Receiving Center. The award recognizes a higher standard of care delivered at Methodist Hospital that improves the survival and outcomes of the most critical heart attack patients.